John Casey, chairman and co-founding partner of Casey, Quirk & Associates, has over 40 years of experience in the investment industry. Prior to the formation of Casey Quirk, a consulting firm focused on advising investment management organizations, John was chairman and co-founder of RogersCasey and Barra Strategic Consulting Groups. Before co-founding RogersCasey in 1976, he and Stephen Rogers worked together at Dreher, Rogers & Associates. 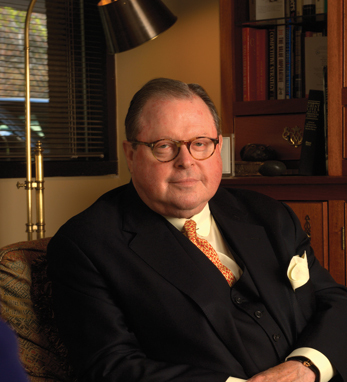 John received, along with Ed Callan, the first McArthur Award from the Investment Management Consultants Association in 2000 in recognition of his leadership and innovation in the investment consulting profession. He is a graduate of Milton College in Wisconsin. John is a fourth-generation Irish American with ties to Cork on his father’s side and to Roscommon and Clare on his mother’s. He and his wife, Bridget Sullivan Casey, have three daughters, Maura, Meghan and Colleen, who is also honored on this list.